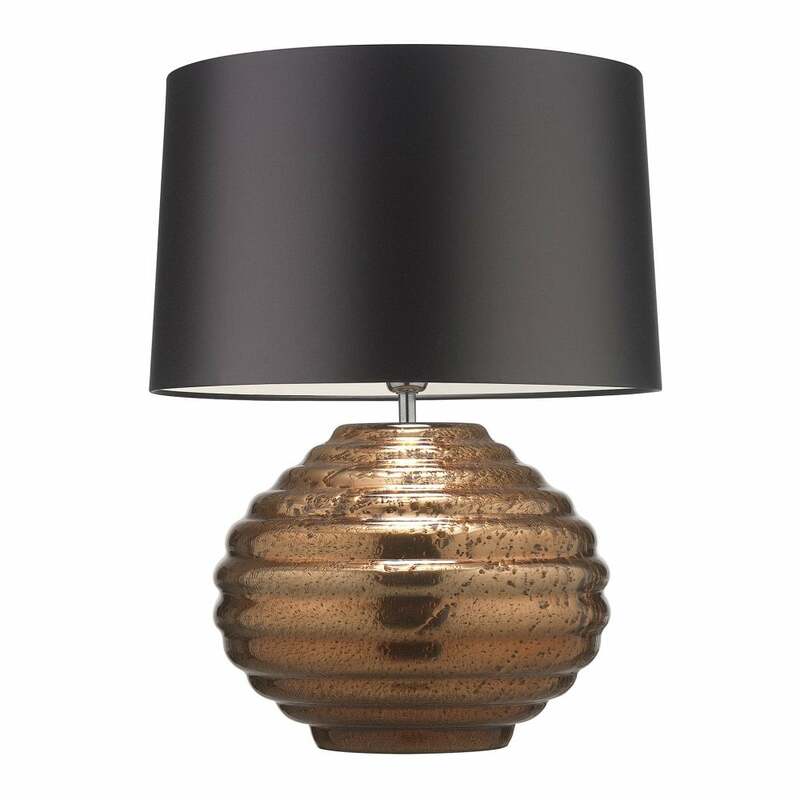 The Colmea Table Lamp by Heathfield and Co features a rippled curved shape achieved by blowing glass in a turned mould. The beautiful rich metal glaze creates an eye-catching surface of reflection and sparkle. Available in three on-trend metallic tones - copper, silver or gold. The unique texture and glamorous colourways would make a striking addition to a bedside or console table. Each piece is individually crafted to ensure every lamp is truly unique. Make an enquiry for more information on shade colours and fabric options.